A favorite snack for me is Radicchio Marmalade with St. Stephen cheese on a gluten free cracker. Just a couple of those at the 4 pm doldrums makes me happy and keeps me going. I started thinking, wouldn’t it be great if those tastes where ready to go for a bite anytime, so I made this tart. The St. Stephen has a great rich nutty sweetness with a slight earthy tart bite, however you can substitute other camembert/brie style cheese or switch into a goat cheese for a different direction. 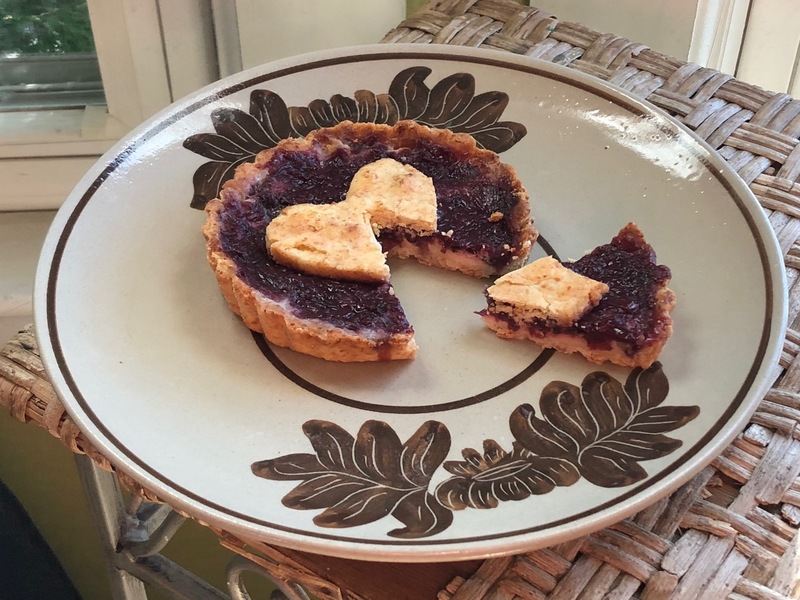 I like to make smaller tarts so that I have more of the crust to filling ratio to each slice. 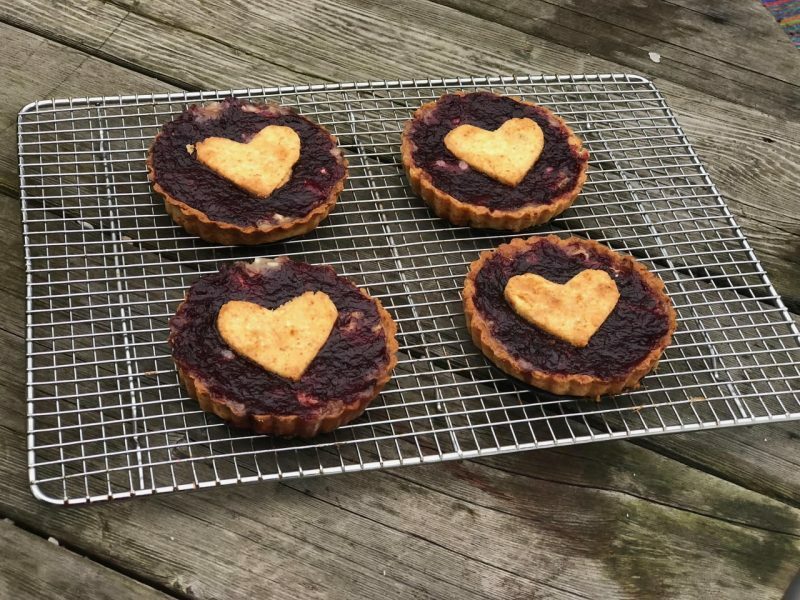 This recipe makes 5 mini tarts using 4.75 inch tart pans. Place flours, parmesan, salt and pepper into the food processor bowl and pulse a couple of times to mix. 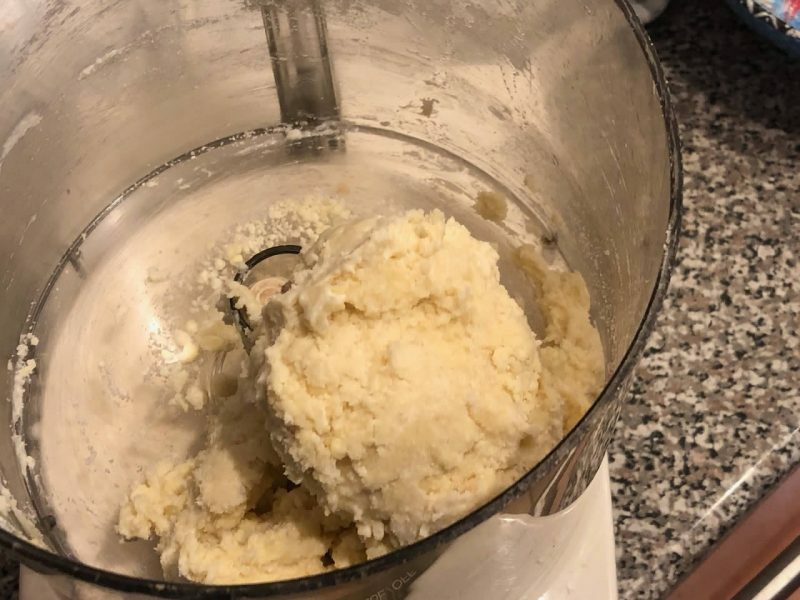 Add the butter and pulse until the butter has become cous cous size balls in the dry mix. While machine is running drizzle in the water until the dough becomes a ball. Transfer the dough into a lightly floured surface and quickly form it into a flat disk. Wrap it in plastic wrap and let it rest in the refrigerator for at least an hour or up to a day. 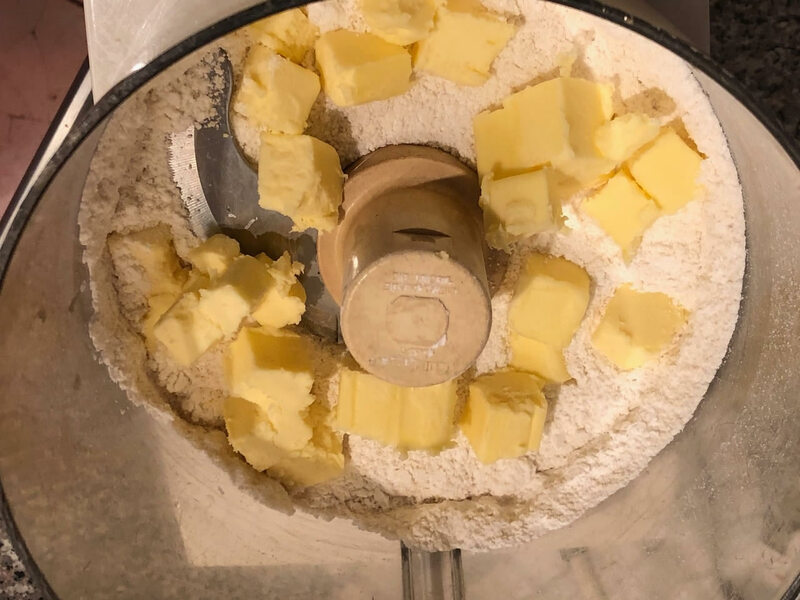 Cut the dough disk into 5 equal parts and roll them out to about 1/8 inch thickness and pat into 5 tart pans, cutting the dough flush at the edges. Re-roll the remaining dough and form 5 decorative cookies. 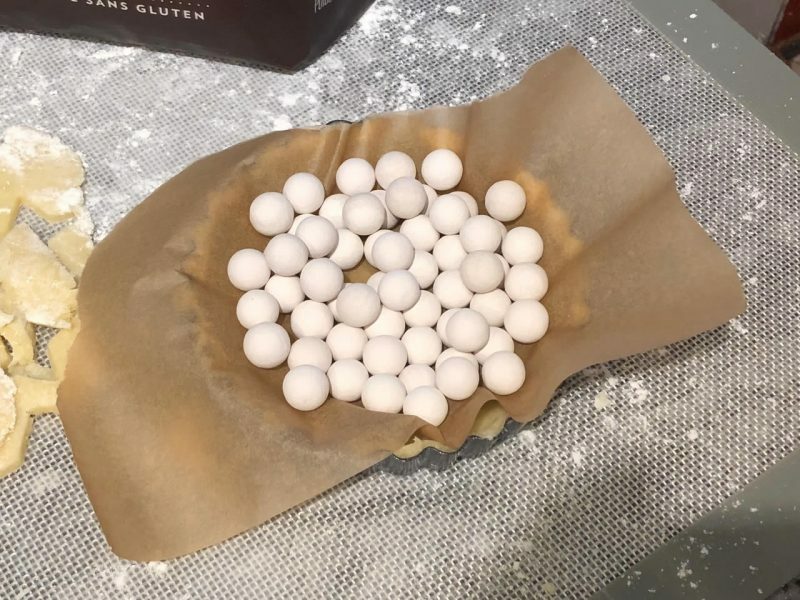 Place a bowl of parchment paper into each tart and fill with baking weights. Bake the tarts and cookies until they turn slightly golden, they are only partly cooked at this point; 8 to 12 minutes for the tarts and 6 to 8 for the cookies. Place a quarter inch layer of cheese slices in each tart and cover with a layer of Radicchio Marmalade. 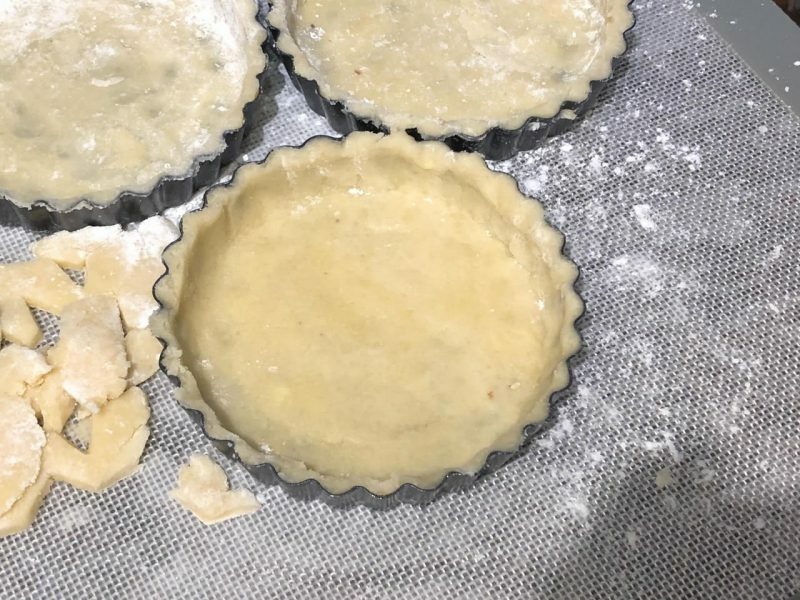 Bake for 4 minutes and then place the cookie in the center of each tart. Bake for another 5 to 8 minutes or until cheese starts bubbling up through marmalade.